Ableton Live is an audio sequencer that you can play like an instrument. On its own or with other musicians or DJs, live on stage, or when remixing in the studio all you need is Live and a Mac or PC. Ableton Live is the revolutionary music production solution. It allows you to spontaneously compose, record, remix, improvise and edit your musical ideas in a seamless audio/MIDI environment. Live brings your acoustic, electronic and virtual instruments as well as your digital audio recordings and MIDI sequences, together in a single interface with unparalleled ease of use. In short, Ableton lets you focus on what really matters: your music. Live’s award-winning elastic audio sequencing lets you record, import, arrange and process multiple audio clips and loops into complete songs regardless of their pitch. Or tempoó all in real time while the music continues. You can even change tempo and pitch of audio independently after the fact and clip envelopes create endless loop variations. You can also integrate linear tape-style recording along with your loops. From Sketch to Composition. Live’s specialty is composition by improvisation. Record musical ideas, combine or create new songs, and compose on the fly. Live captures your every move for later refinement and editing. The Musical Hub. Come together, right now. Live offers complete multitrack recording and editing for any acoustic source, hardware synthesizer or software instrument. Easy MIDI. Yes, MIDI can be fun and easy. Drop a software instrument in a track and play. Drag and drop MIDI and audio effects, layer synths, and record MIDI as audio. Pattern Mode. Your laptop is about to turn into a groove box. 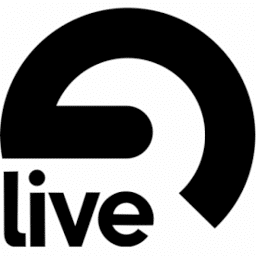 Live puts an arsenal of groove-making tools at your fingertips. Mix and Remix. Instantly combine jazz with house with hip hop with soul… Live synchronizes it all in real time. On-the-Spot Sound Design. Perform real-time sonic surgery on your sounds. Draw melodies, rhythms and effects changes onto loops and samples while they play. Hands-on Control. Liberate yourself from the mouse. Play your sequencer like an instrument on stage or in the studio. With Live, Ableton’s unique approach to music production extends to a new paradigm in MIDI sequencing and manipulation as well, complete with virtual instruments. As simple to use as it is powerful, Ableton Live is a completely unique musical tool that blurs the distinction between stage and studio. VST and AU effects and instruments support. Ableton Live is the only solution designed for each stage of the musical process, from creation to production to performance. In the creative stage, Live is transparent, intuitive and responsive, capturing inspiration and encouraging the flow of musical ideas. During production, Ableton Live provides all of the professional tools and studio compatibility required to complete and perfect projects. On stage, Ableton Live delivers the expressive control and stability that innumerable performing artists have come to rely on. Operating Systems: Windows 7, 8, 8.1, 10, Mac OS X 10.7 or later.